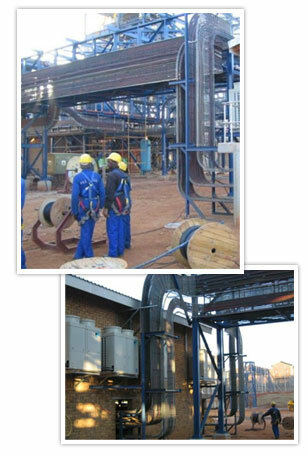 D & H Electrical Contractor and Labour Hire is a provider of electrical installations for the mining and construction industries. We manufacture, install and maintain electrical mining equipment and on-site machining. As registered as labour brokers we can also provide comprehensive subcontracting services to the mining and private construction sectors. Our services range from the design, manufacture and installation of drivers, brake and clutch levers, mini cam switches, electrical cable rollers and panels to machining of sheave wheels and cementation. We have successfully completed an impressive range of projects across the face of Southern Africa for clients that include Anglo Platinum, De Beers, Impala, ABB, Gold Fields, Vaal Reefs, Hartbeesfontein and Afrox, to mention but a few. D & H has state of the art digitized production systems on our electrical engineering shopfloor. Together with our professionally qualified contingent of precision electrical and machining engineers we can provide consistent quality and winning results every time. Our infrastructure empowers us with the capacity to fulfill major projects as well as with the flexibility to process once-off, emergency and smaller jobs. Our quality management system has been systematically developed over many years of innovation and experience. We are currently preparing for ISO 9001 accreditation. D & H was established in 1995 by engineer and entrepreneur Dirk Loots. In 2002 we joined forces with V.J.G. Engineering, which enabled us to exponentially expand our product and service portfolio, geographical reach and in-house expertise. D & H is a BEE compliant enterprise.